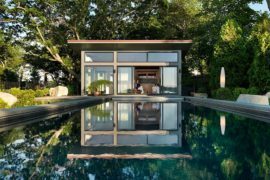 There is nothing quite like a beautiful, small summer house that allows you to escape the big city rush and relax in style as you are surrounded by natural goodness. 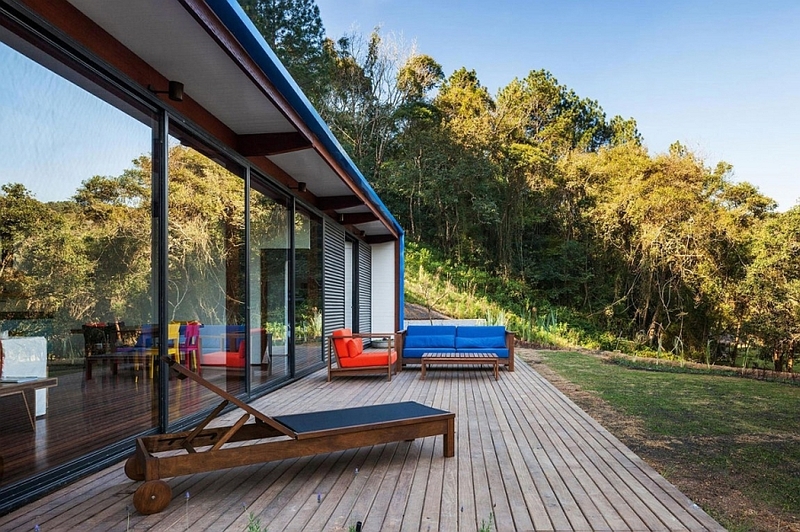 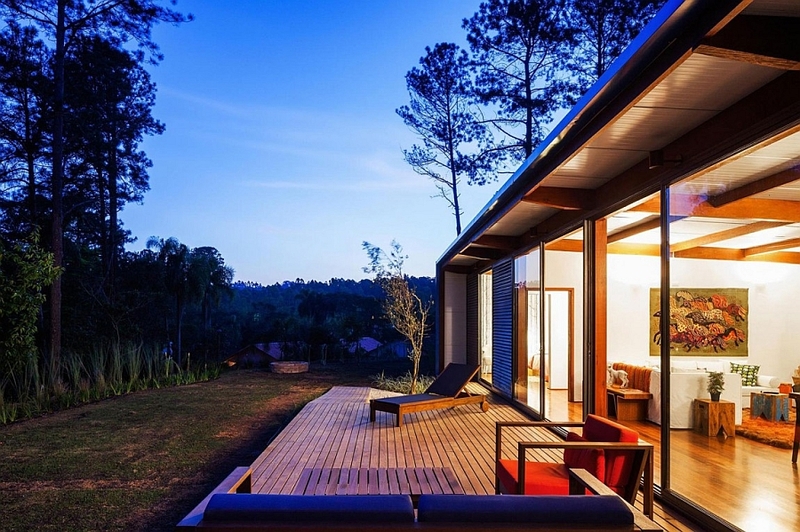 Located on an idyllic farm in Sao Roque, a town that is just 60 km away from the bustling São Paulo, Residência O.Z. 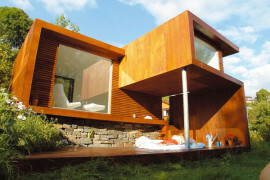 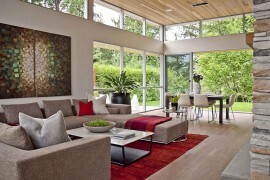 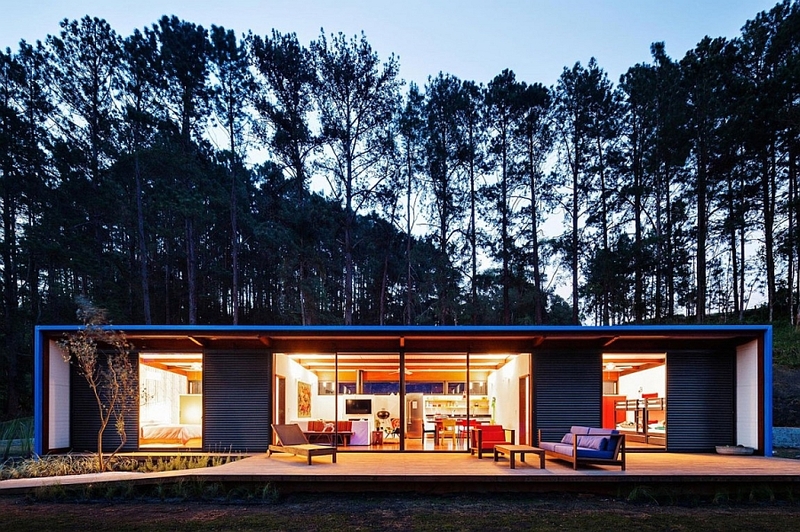 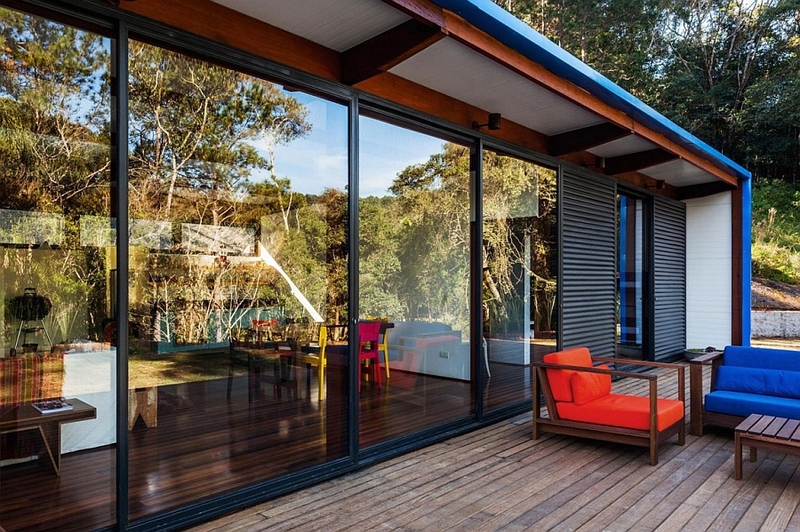 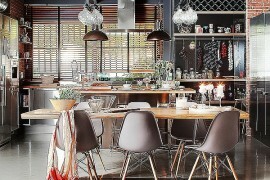 is a gorgeous summer retreat that charms you with its uncomplicated design. 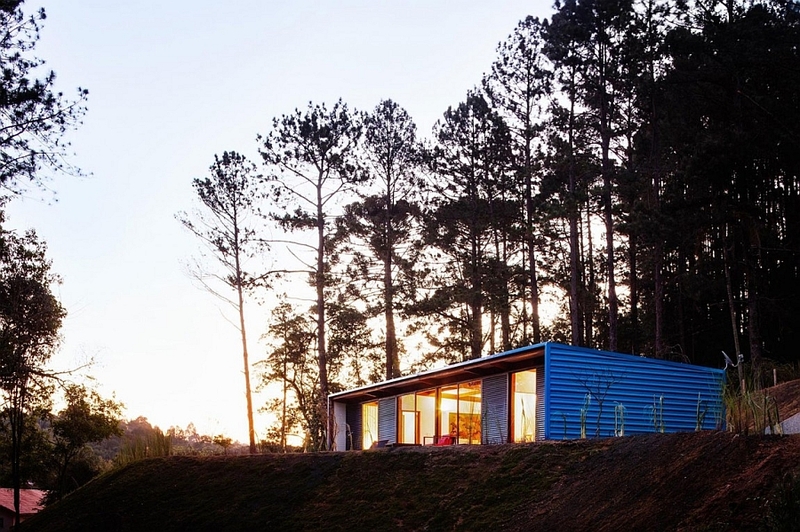 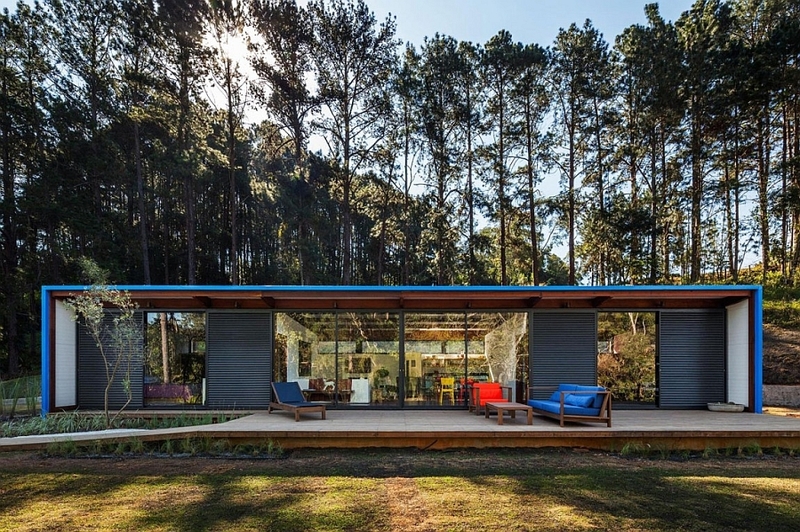 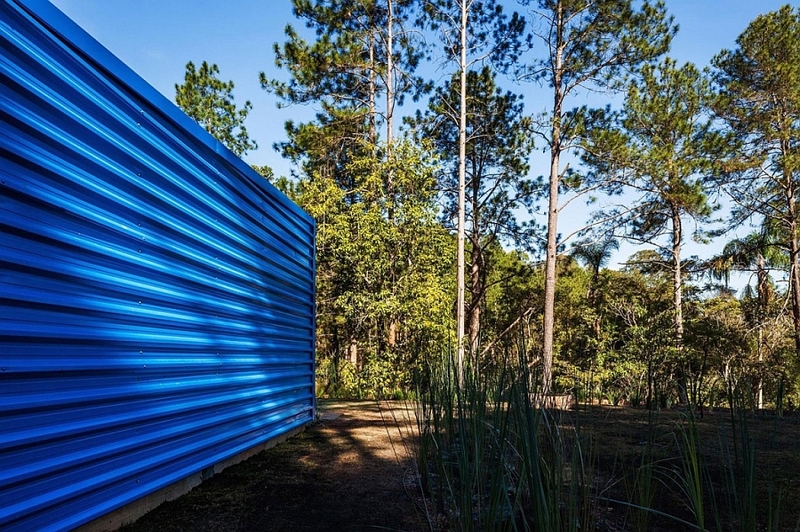 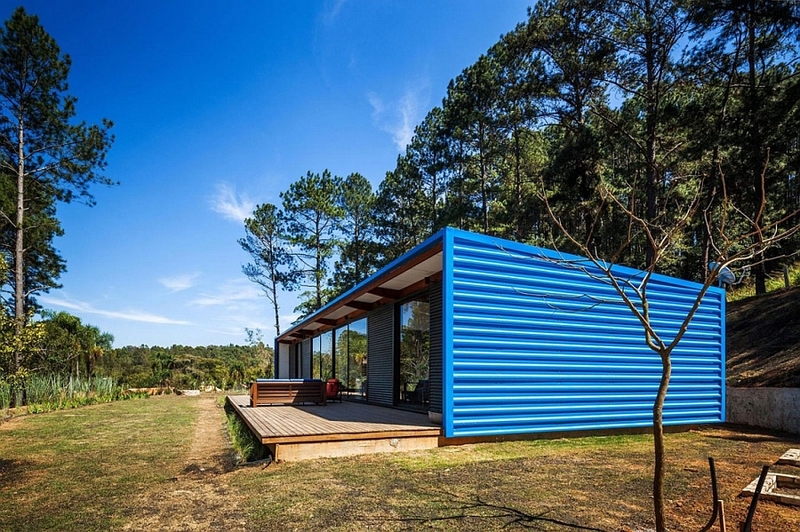 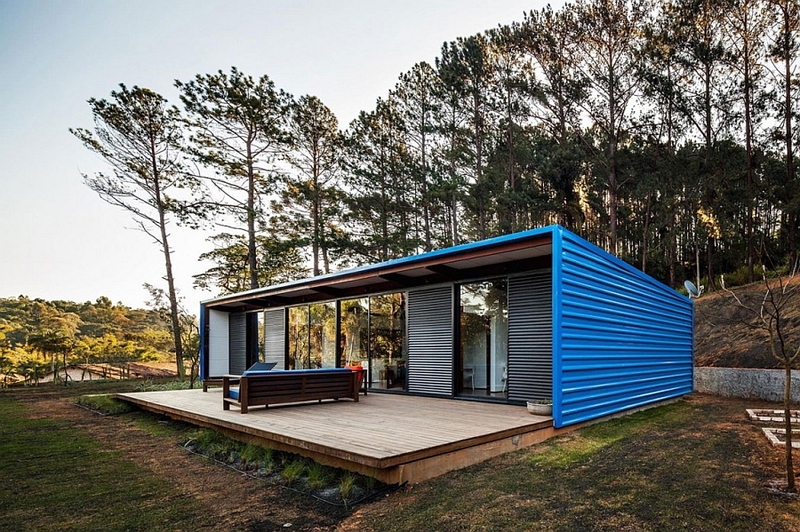 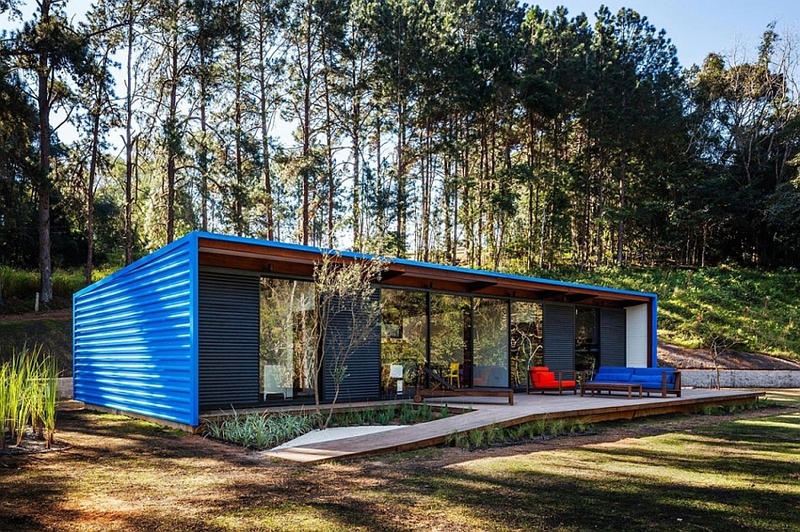 Crafted by Andrade Morettin Arquitetos Associados using a modular wooden structure, the compact house is covered with metal tiles that give it a unique silhouette. 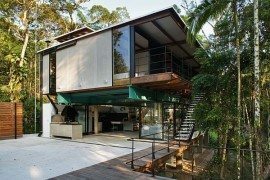 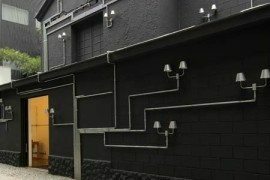 The modular structure of the house ensured that it was easier to construct than a regular home and took up far less in terms of both time and resources. 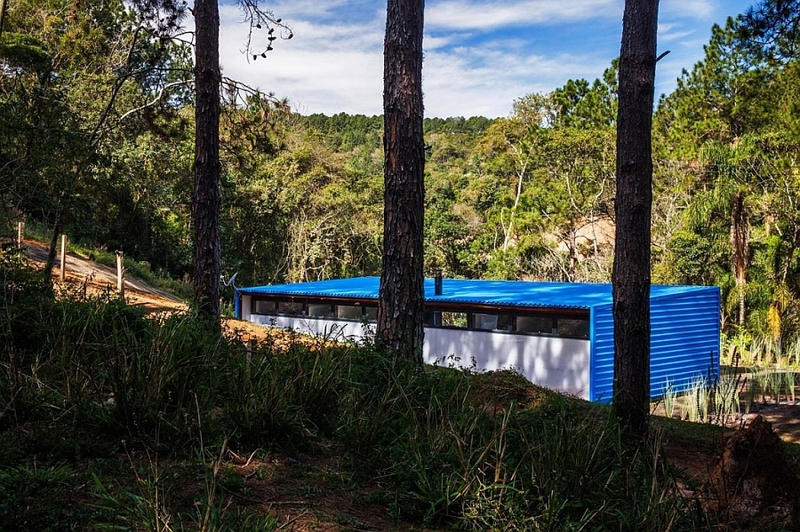 A polystyrene filling provides the vacation retreat with the necessary thermal insulation, while the large sliding glass walls open it up toward the south. 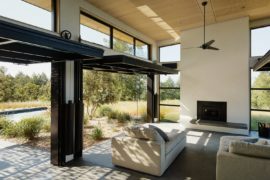 The interior is connected seamlessly with the large deck outside, and the panoramic views become an organic part of the indoors. 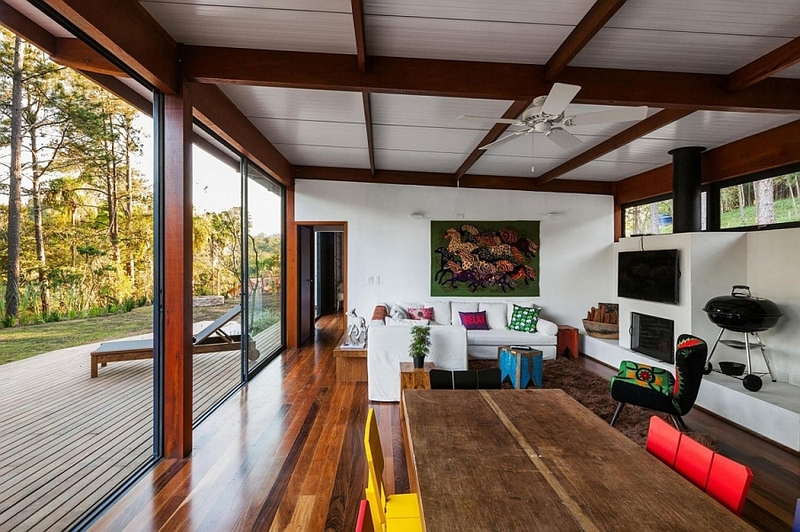 Blurring this line between the interior and the outdoors played an important role in giving the small house a ‘vacation retreat’ vibe. 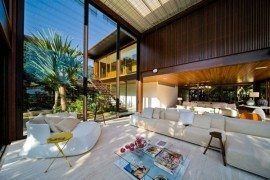 A large living area with dining space, an elegant kitchen and two comfy bedrooms are placed linearly to make the most of the view outside. 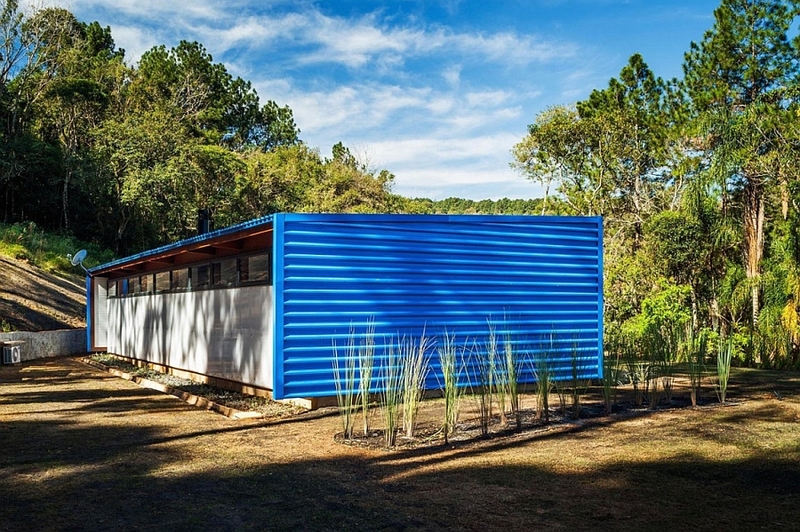 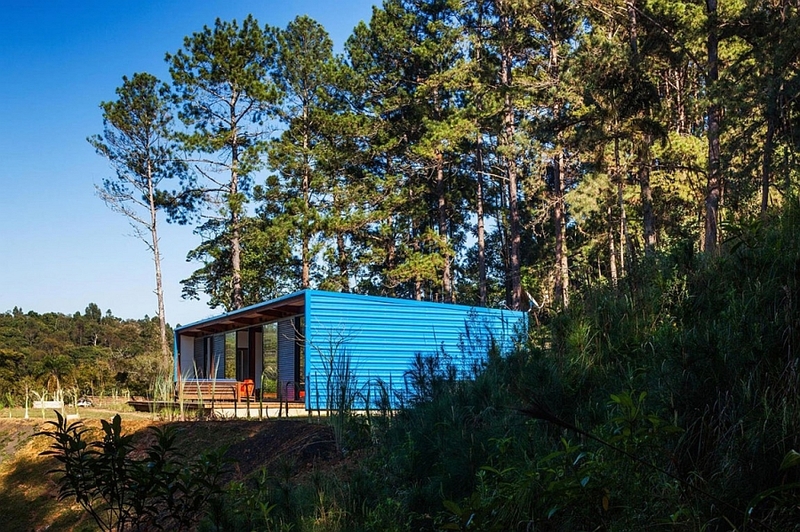 The north side of the structure offers ample privacy and is closed off completely, while its metal shell lets it stand out visually as it proudly sits in front of a natural, green backdrop!